For any new Affiliate, earn an extra $100 bonus payout for driving your first sale for WP Engine (on top of $200 minimum commission). Join the WP Engine program. WP Engine powers amazing digital experiences for websites and applications built on WordPress. The company’s premium managed hosting platform provides the performance, reliability, and security required by the biggest brands in the world, while remaining affordable and intuitive enough for smaller businesses and individuals. Companies of all sizes rely on WP Engine’s award-winning customer service team to quickly solve technical problems and create a world-class customer experience. Founded in 2010, WP Engine is headquartered in Austin, Texas and has offices in Limerick, Ireland, San Francisco, California, San Antonio, Texas, and London, England. 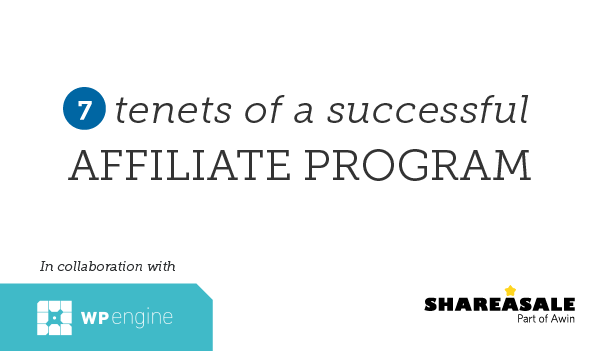 Who are WP Engine’s Affiliate partners? WP Engine typically partners with creative, marketing, or digital agencies that develop WordPress sites for their clients. In turn, the agencies will refer these sites to WP Engine for ongoing management and service. Additionally, WP Engine’s partner program supports freelance plug-in developers, theme developers and website designers. Bloggers could find success as an affiliate partner by referring the platform to other bloggers/website owners. What can other Merchants learn from WP Engine’s success and approach? Plenty. WP Engine understands that to stand out, you need to be bold and provide a competitive offer, which is why its payout is a whopping $200 with a 180-day cookie length. On top of that, every Affiliate is eligible to earn up to $1,500 in additional bonuses simply by hitting sales thresholds. In order to avoid unethical partner activity for such a lucrative offer, WP Engine has extended its commission lock date. This allows them to monitor new subscriptions to their SaaS platform and ensure that all Affiliate referrals are legitimate. In their case, the lock date was extended to include three full subscription periods, which gives WP Engine ample time to review Affiliates who send multiple referrals that exhibit a drop-off after one subscription cycle. When you have thousands of Affiliate partners – 19,000 in the case of WP Engine – it can be hard to drill down and see patterns in what types of Affiliates or promotional methods are making the biggest impact on your program. WP Engine tackles this dilemma by being more refined in its list segmentation. 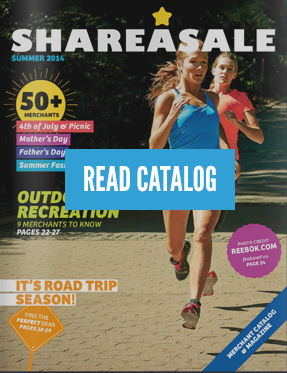 ShareASale’s tagging feature is critical for this process and allows WP Engine to organize Affiliates into groups, such as Agencies, Bloggers, Web Developers, etc. By pulling tag-specific reports, the team sees how each segment contributes financially to the program, which then informs how much it can invest back into that segment. WP Engine saw huge potential in its web developer base, which makes up a large portion of overall affiliate list. The approach was simple yet groundbreaking: make it as easy as possible for developers to use WP Engine’s platform. WP Engine understood that once a developer became entrenched on its platform, then he or she could more easily become a referral agent. This meant supplying the developers with free WordPress hosting and staging plus a $200 payout for any new referral. The ongoing referrals generated by a single web developer vastly outweigh the cost of the free offerings. Agencies and freelance web developers can apply here for their free account: wpengine.com/agency-program/. Although WP Engine uses API for many program management tools, not all aspects of account management can (or should) be automated. If you want to be sure you’re approving and engaging with the right partners you must investigate yourself: look at their website and description; review the volume of referrals they are sending; view historic trend data; etc. Tagging Affiliates, a hallmark of their recent success, was all done by hand after careful review by a team member. While certainly time-consuming, doing things manually will ultimately give Merchants greater control over their program management and reveal insights not visible from a top-level view. WP Engine understands the power of effective and consistent partner communication. For example, the team advertises their willingness to create co-branded landing pages, exclusive banners, and provide support for all its partners on a one-to-one basis. The ability to send tailored messages to each partner, which the tagging feature facilitates, is paramount. Also, be sure to provide regular updates each quarter to keep the information flowing from your side fresh and relevant. But also remember to send program information and promotions that are specific to each partner. Tailor your message to that particular audience and make it easier for them to refer by giving them the tools and messaging they need to reach their referral audience. As WP Engine’s Affiliate Marketing Manager, Dustin Howes, says, “find the gold, then optimize.” He cites two main ways to go about this: run a report to find out who on the bottom of your partner list has seen a large jump and inquire about what they’ve been doing or did differently to gain traction. Or, you can track historically high performers who have dropped off and figure out what caused the drop. Zero in on the targets, then reach out to each one directly. Perhaps one of WP Engine’s most distinguishing features is its dedication to customer service and support. They understand that running a successful program is more than a full-time role. 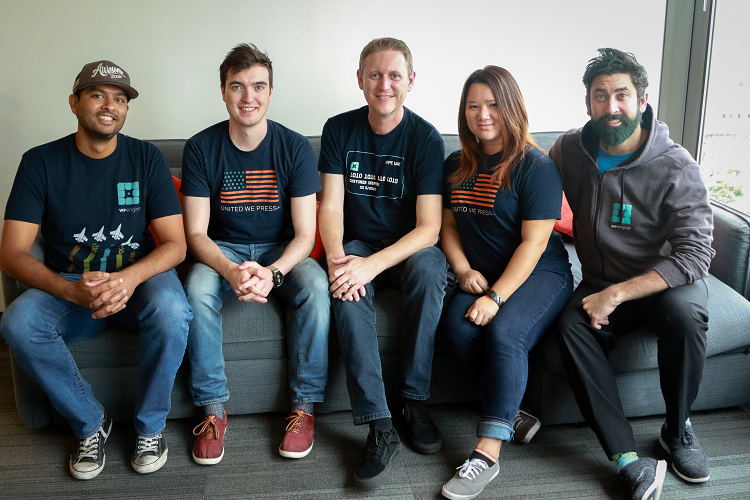 The five members on the Affiliate team handle campaign creation, operations, reporting, recruitment, fraud monitoring, and day-to-day management, like processing of applications. WP Engine even has a Live Chat service specifically for the Affiliate program – a rare find in this industry. The team provides a huge range of support coverage, both geographically and in terms of services offered, which makes them available to address the needs of any partner. And remember, you don’t miss out on the opportunity to earn $100 bonus payout on your first sale (on top of $200 minimum commission). Sign up through the link below and you will automatically be eligible to receive this bonus. Or are you interested in learning more about WP Engine as a service for your brand or business? Send a note to dustin.howes@wpengine.com.